All the latest news, current events, entertainment programs and more in Chinese, French, Portuguese, Arabic, Japanese and more are available to Xfinity customers. *Restrictions apply. Not available in all areas. Call for details. You must be an Xfinity TV subscriber to order International Programming options. Not all International Programming is available in all areas. Call for details. 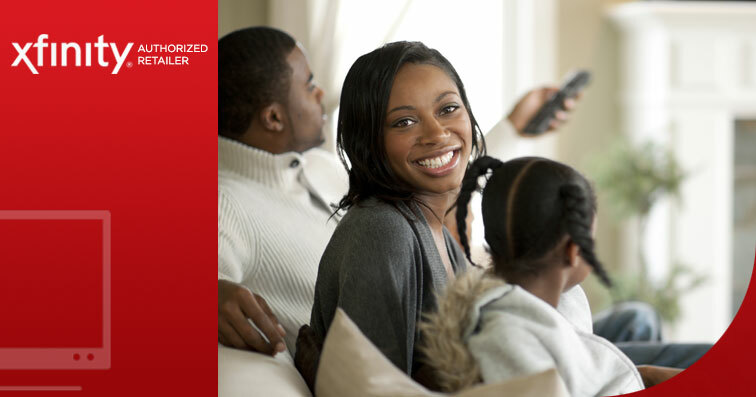 For information about Xfinity policies and terms of service, go to www.xfinity.com/policies. Xfinity Triple Play: Offer ends 09/21/2016. Restrictions apply. Not available in all areas. New residential customers only. Limited to Starter XF Triple Play with Digital Starter TV, Performance Pro Internet, and Xfinity Voice - Unlimited service. 2-year minimum term agreement required. Early termination fee applies if all Xfinity services are cancelled during the agreement term. Equipment, installation, taxes and fees, including regulatory recovery fees, Broadcast TV Fee (up to $5/mo. ), Regional Sports Fee (up to $3/mo.) and other applicable charges extra, and subject to change during and after the promo. Additional outlet service fee applies for multi-room viewing. After first 12 months, monthly service charge for Starter XF Triple Play increases to $114.99 for months 13-24. Pick a Premium offer not available to customers who previously subscribed to the selected premium or to any packages which include the selected premium. After 6 months, the regular monthly service charge for the selected premium applies. After promo, or if any service is cancelled or downgraded, regular rates apply. Comcast’s monthly service charge for Starter XF Triple Play is $148.49, and Showtime, Starz, Cinemax, and The Movie Channel is $12.00 each (pricing subject to change). TV and Internet service limited to a single outlet. May not be combined with other offers. TV: Limited Basic service subscription required to receive other levels of service. On Demand selections subject to charge indicated at time of purchase. Not all programming available in all areas. Internet: Actual speeds vary and are not guaranteed. Reliably fast claim based on 2014 FCC Broadband Report. Voice: $29.95 activation fee may apply. Transfers of existing telephone number not always available. Service (including 911/emergency services) may not function after an extended power outage. 30-Day Money-Back Guarantee applies to one month’s recurring service charge and standard installation up to $500. Call for restrictions and complete details. © 2016 Comcast. All rights reserved. Xfinity TV: Offer ends 09/21/2016. Restrictions apply. Not available in all areas. New residential customers only. Limited to Digital Starter TV service. Equipment, installation, taxes and fees, including Broadcast TV Fee (up to $5/mo. ), Regional Sports Fee (up to $3/mo.) and other applicable charges extra, and subject to change during and after the promo. Additional outlet service fee applies for multi-room viewing. Pick a Premium offer not available to customers who previously subscribed to the selected premium or to any packages which include the selected premium. After 6 months, the regular monthly service charge for the selected premium applies. After promo, or if any service is cancelled or downgraded, regular rates apply. Comcast's monthly service charge for Digital Starter TV, ranges based on area, from $69.03 to $69.95, and Showtime, Starz, Cinemax, and The Movie Channel is $12.00 each (pricing subject to change). TV service limited to a single outlet. May not be combined with other offers. Limited Basic service subscription required to receive other levels of service. On Demand selections subject to charge indicated at the time of purchase. 30-Day Money-Back Guarantee applies to one month's recurring service charge and standard installation up to $500. Call for restrictions and complete details. © 2016 Comcast. All rights reserved. Xfinity Internet: Offer ends 09/21/2016. Restrictions apply. Not available in all areas. New residential customers only. Limited to Performance Internet service. Equipment, installation, taxes and fees extra, such charges and fees subject to change during and after the promo. After promo, or if any service is cancelled or downgraded, regular rates apply. Comcast's monthly service charge for Performance Internet is $69.95 (pricing subject to change). Internet service limited to a single outlet. Reliably fast claim based on 2014 FCC Broadband Report. Hotspots available in select areas. Requires WiFi enabled device. May not be combined with other offers. Actual speeds vary and are not guaranteed. 30-Day Money-Back Guarantee applies to one month's recurring service charge and standard installation up to $500. Call for restrictions and complete details. © 2016 Comcast. All rights reserved. Xfinity Voice: Offer ends 09/21/2016. Restrictions apply. Not available in all areas. New residential customers only. Limited to Xfinity Voice - Unlimited service. Equipment, installation, taxes and fees, including the Regulatory Recovery Fee and other applicable charges (e.g., per call or international) extra, and subject to change during and after the promo. After promo, or if any service is cancelled or downgraded, regular rates apply. Comcast’s monthly service charge for Xfinity Voice - Unlimited is $44.95 (pricing subject to change). May not be combined with other offers. Voice: $29.95 activation fee may apply. Service (including 911/emergency services) may not function after an extended power outage. 30-Day Money-Back Guarantee applies to one month’s recurring service charge and standard installation up to $500. Call for restrictions and complete details. Limited to new residential customers. Blackout and other restrictions apply. Not available in all areas. Most live sports available with Digital Preferred TV and WatchESPN. Limited basic service required to receive other levels of service. Call for restrictions and complete details. Pac-12 Networks and the Pac-12 Shield are trademarks of the Pac-12 Conference. SEC ESPN Network is a trademark of ESPN, Inc. All rights reserved. ©2016 Comcast. All rights reserved.